First and foremost is the love of my life, my shout it from the roof top, completely obsessed with, Altra Lone Peaks 2.5. Before I got these bad boys, after about 16-18 miles or so, my feet would hurt. There was no injury, no pinpointed cause of pain other than just time on feet and technical terrain. Knowing this couldn’t and wouldn’t fly for a 100 miler, I tried on a variety of shoes before slipping into the Lone Peaks. As soon as I put them on — Heaven (My feet are weird in that my heel is really narrow and toes splay out wide. The footshape toe box is a god-send for my toes.). The first time I took them for a spin – super technical trails in Chamonix. Then a 24 mile training run, then Stump Jump 50K — NO PAIN at all. I decided to buy a second pair to take to Pinhoti. In weeks leading up to the race, I even wore my first pair for any road runs I did. My newest pair was my go-to shoe on race day. I took them off once to change socks (thanks, rain and creek crossings) and was happy to put them right back on. They were great — no painful feet, and they held up great on the rocks and in the rain/mud. I saw multiple people fail to get traction on some of the steeper, muddier sections. I never had a problem at all. After Pinhoti, I’m a Lone Peak lifer. Speaking of wet feet, like I said, I had no real issues. Only a small blister that formed on my big toe around mile 82. Pain went away around mile 83. With all of the water, it could have been a recipe for foot disaster. Honestly, I was shocked. Why was I so lucky? Besides drinking a lot and making sure not to get dehydrated, I slathered my feet in Skin Strong Slather at the start of the race and again when I changed socks at mile 65 (well, Ryne slathered them for me). I also used it everywhere there was a potential to chafe. Stuff worked great. It stayed on so nicely that I think I would’ve been fine if I hadn’t reapplied at mile 65 (But better safe than sorry. Plus, Ryne gets to relive that nightmare for the rest of his life). 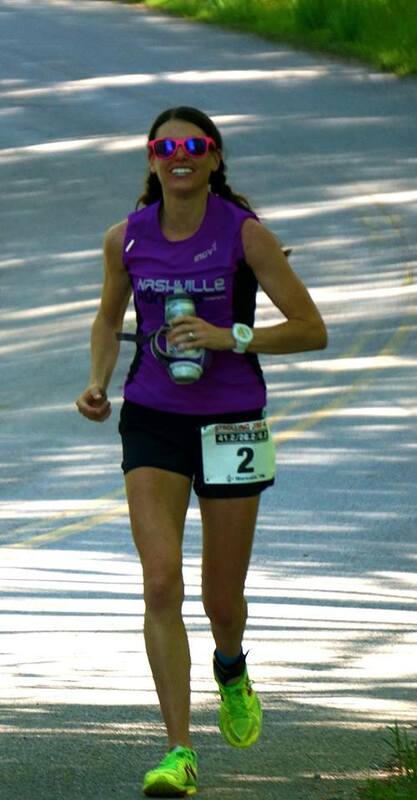 Along with the Skin Strong, I wore Swiftwick wool socks (1″ to start, 12″ starting at mile 65). My feet were wet by about mile 3. The wool wicked the moisture great and left my feet in great condition. I love these socks and have never raced in anything but — including the super wet Stump Jump, which also proved blister-free. Finally, my Ultimate Direction Ultra jacket — I haven’t been this excited about a purchase since my horse cardigan in 2011. This jacket kept me about as dry as I could be in those race day conditions. If I had changed my base layer properly, I wouldn’t have had a problem at all. I wore this jacket from mile 30-90. The hood and bill were great for keeping the never-ending rain out of my eyes. It was light enough to carry in my pack before needing to put it on. The flip mitts on the sleeves were amazing — I have huge problems with freezing hands, and these served great with and without additional gloves. Plus, it’s just freaking pretty. Just a solid, solid jacket. (Before I wore it at Pinhoti, I got in the shower with it on to see if it’s really waterproof. Success). I fully, 100% believe that without my Altra Lone Peaks, Skin Strong, Swiftwicks, and UD jacket, race day could’ve gone horribly awry. You can find all of these at Nashville Running Company. (Christmas is coming up, hint, hint!). Obviously, trails are my true love, but out of convenience, a lot of my runs are done on the road. Thanks to Strava, I can keep track of how many miles my shoes have logged. 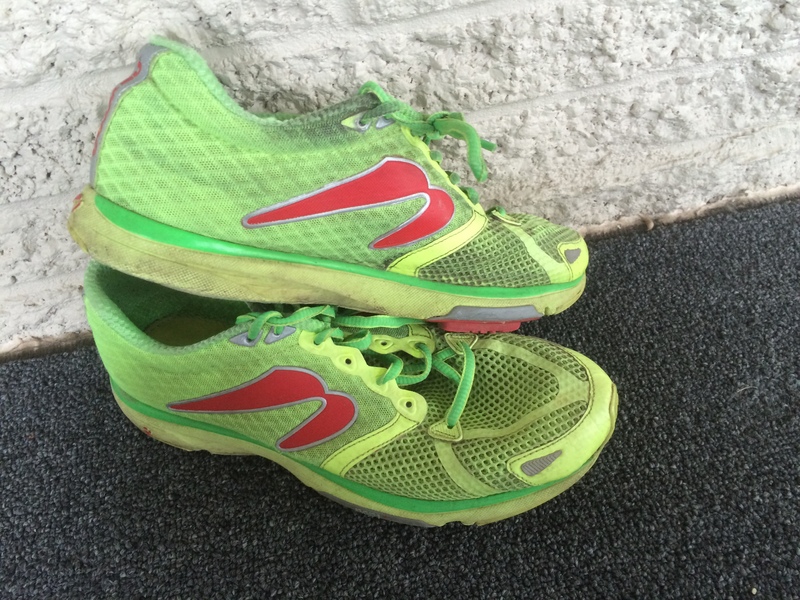 My road shoes have over 600 miles on them, and I thought that warranted my review of them. Since 2012, when I first started shopping at NRC and discovered there was a whole world of running shoes outside of Brooks, I’ve only worn Newtons on the road. I have had no less than 7 pairs, including the Distance III. I’ve loved each and every one but not like I love my latest pair, the Distance IV. As soon as I put on this shoe, I was obsessed. I’m not saying that it was exactly like Meg Ryan’s infamous scene in “When Harry Met Sally,” but it was close. Two days after I got them, I ran a marathon in them. Two weeks after that, I ran a 41 mile race in them, and my feet felt great (well, for having run 41 miles on the road. In hilly Tennessee. In May). There were just a few changes from the Distance III, and aside from the color, I think they were all for the better. Newton is known for their lug technology; the lugs encourage midfoot running, as well as maximize running efficiency. The Distance IV is a part of the POP 1 (POP = point of power) group so there’s a whole lotta lugs. The lugs on the Distance IV seem to be more prominent than on the other models, and they haven’t worn down much even after 600 miles. Also, I definitely think that the lugs on the IV are more responsive than with lugs past. I feel a little more pep in my step from these. The heel of the IV hasn’t worn down as much either which I can only assume stems from the advanced lug technology (and perhaps, I’m finally getting better with my form). The tongue has less material and is less “cushy,” but it actually stays in place better. Even though the IV is a little heavier (and by heavier, I mean .6-.7 ounces), I haven’t been able to tell a difference. Probably, the biggest thing for me is the toebox seems a little wider. One of the issues I’ve always had with Newtons is that my pinky toes would start hurting in the middle of long runs. The IV hasn’t given me this problem at all. Like I said, I ran a marathon and 41 miles in them, and my feet were about the only thing that felt good at the end. * My only complaint, and which really isn’t a complaint at all, is based solely (ha get it) on aesthetics. I may be one of the few people who is not a fan of flashy, loud shoes, but color is no reason to buy or not to buy certain running shoes. The Distance III was a beautiful white while the IV is BRIGHT YELLOW (which is still better than pink). The neon yellow was blinding at first, but after 600 miles, they’ve dirtied into a more pleasant, subdued hue. However, even if these shoes bright orange and blue, I’d still wear them. They’re that good. So to sum up this succinct review — I really, really flipping love these shoes. *Full disclosure: I wear currexSole insoles in all of my shoes as recommended by my PT. I have terrible arches and a (finally) healing but weak ankle. **Super full disclosure: I run on NRC’s Race Team which is sponsored this year by Newton, but as I said earlier, I’ve been wearing Newtons since 2012, long before I was fast(ish) or on the team.